Once upon a time, I woke up in heaven. Out my bedroom window sat a graceful giraffe, legs folded. Jet-lagged, I blinked. I was not dreaming. I had seen this pose before, on my first safari to Kenya, in 1977, when I met the owners the Giraffe Manor. Sitting on the lawn was a young giraffe named Daisy Rothschild. Two years later I returned as a publicist for “The Last Giraffe,” a CBS movie. Based on a book by Betty and Jock Leslie-Melville, the film tells the story of Daisy, the first Rothschild rescued for a breeding herd that boosted this species population throughout Kenya. 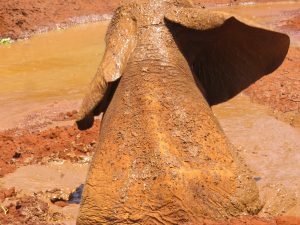 Then Betty discovered most Kenyans cannot afford to visit a national park. 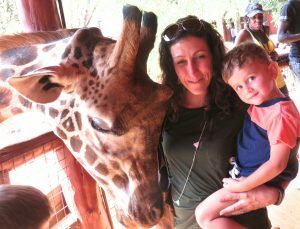 Today busloads of African children visit the AFEW Giraffe Center near the manor. Clever Betty, who wrote ten books, coined the acronym AFEW for African Fund for Endangered Wildlife. “I’m not sure this species is endangered,” Miriam Rothschild said when I told her about this initiative in 1979. Her uncle Walter had named the species, recently regrouped with Nubian giraffe. Sadly all giraffe have now become officially endangered, due to habitat loss and poaching, both exacerbated by an exploding human population. Since my first visit to Africa, wildlife has declined by half, and giraffe join the imperilled list of rhino, elephants, lion and cheetah. But there are pockets where you can still see them thriving. With amazing foresight, 140 acres near the manor were protected by AFEW, saving this leafy ecosystem from development. The breeding herd began with a mate for Daisy, and a few more Rothschild’s rescued from war torn areas near Uganda. 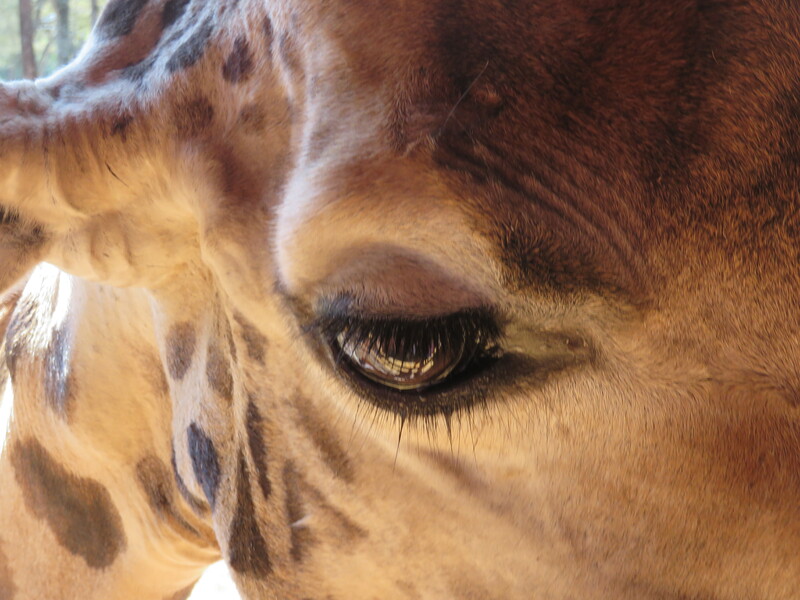 Giraffe from AFEW have since been released into Nakuru, Ruma and Soysambu preserves. “The stately Rothschild’s giraffe…is the legacy that the Maryland-born Betty Leslie-Melville…left to the world. 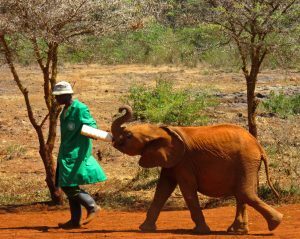 … At the outset of her interest in the early 1970s, there were only about 120, but they now number up to 400 in Kenya and 500 altogether, due to the efforts of her and her third husband Jock Leslie-Melville…who died in 1984.” The sanctuary is named after Jock. The AFEW Giraffe Center is located in the Nairobi suburb of Langata, not far from the Sheldrick Elephant Orphanage. Delta Willis can arrange for you to visit both in the same day. Keepers at the Sheldrick Orphanage not only feed elephants but sleep alongside them at night. Every day at 11 AM orphans enjoy a mud bath. Plan your visit now. A member of The Explorers Club, Delta Willis served as Chief Contributor to the Fodor’s Travel Guides to Kenya & Tanzania. Willis designs safaris working with Pulse Africa out of Johannesburg, and consults on conservation issues drawing from her strategic communications work for the National Audubon Society and Earthwatch. She lives on the edge of a giraffe sanctuary in Kenya.